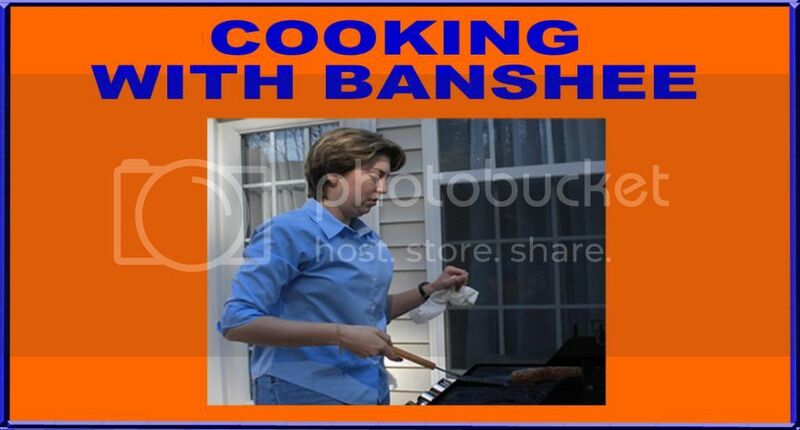 As many readers know, Wild Banshee is one of the biggest Penn State fans you will ever meet. My opinion on the recent scandal and the NCAA sanctions have been asked many times, but I have refrained from commenting on the story. I feel too hurt, angry, disappointed, confused and in some ways embarrassed to open myself up to public criticism of my opinion. I know that anything I have to say that is short of calling for the school to be burned down and my father's diploma stripped from his wall would be shouted down as support for child rapists and sycophantic hero worship. Besides, there has been plenty of debate and discussion about every aspect of what Jerry Sandusky did, who covered it up and what price Penn State as a university should pay. This blog has nothing to add to that conversation. But, there has been very little discussion about the how the honorable Penn State fans and alumni all over the nation should feel on fall Saturdays from this day forward. What I've posted below was emailed to me in the days following the Freeh report and the NCAA sanctions. I certainly am not a person who is knowledgeable enough about football to comment on the severity and future consequences of the recent NCAA penalties leveled against Penn State. I am also not a big enough fan to be able to truly understand the sadness and even pain that the public attacks are causing. I have however lived among these people. The Penn State fans I know truly embrace the “Success with Honor” motto, not only in sports but in their personal and professional lives. It is their goal. It is their challenge to themselves and others. It is something that bonds them together. And the way the public is reacting feels like an attack on, and a mockery of, their common goal. Whenever any person or organization has high standards and goals their failures are especially painful to themselves and especially salacious to others. Whether you are a politician, a pastor, a parent, or a Penn State fan you are faced with the fact that when your standards are high, your failures will be all the more difficult to come to terms with. Penn State fans must know that the severity of their penalties is actually a reflection of their own high standards no matter if an outside body imposed them. From the outside looking in, I wonder what the NCAA hoped to accomplish with its sanctions. I wonder why the public is so obsessed with this story. 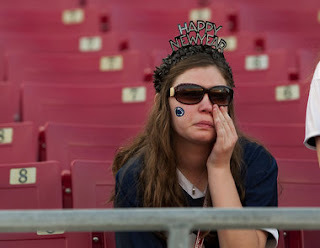 And I wonder what will become of the motto, “Success with Honor.” Perhaps what fans should expect to see in the next few years is a Penn State football program that enjoys “Success and Adversity with Honor.” That is a goal to be truly proud of.